Sweeten up ordinary moments with Driscoll’s Blueberries in your muffins, pancakes, or hot cereal. Later on, pack up your blueberries for a fresh snack everyone loves. Sharing blueberry joy is that simple. Blueberries are the newest berry to join the Driscoll’s family. We started growing them in the early 1990s. 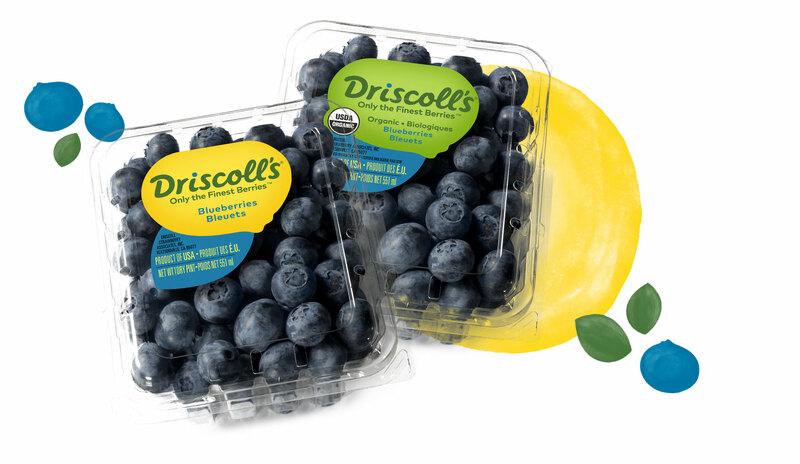 Driscoll’s has now patented many blueberry varieties, which means that these wonderfully delicious blueberries can only be found in a Driscoll’s package. Plump and juicy, with just the right balance of sweetness and tartness, each blueberry must meet our high quality standards. In other words, each Driscoll’s Blueberry must be outstanding in all regards. And of course, our blueberries are grown naturally and never genetically modified. Follow the tips below and your blueberries can stay fresh and crisp for 5-7 days. Try to keep your blueberries as dry as possible. Refrigerate blueberries in their original package between 32° and 34°F. Rinse blueberries gently with cool water just before you’re ready to eat them. Blueberries taste great chilled or at room temperature. Driscoll's makes ordinary moments more special with the most delicious berries. The Pursuit of Flavor miniseries goes behind the scenes on how Driscoll's lives up to its brand promise of Only the Finest Berries™. Watch the 6 part miniseries to see a rare inside look at the passion of growing great tasting berries. Improved motor skills are just one blueberry bonus. See the rest. A fresh, sun-inspired container for our delicious blueberries.